Mr. Travers helps CEO's, CFO's and COO's of major U.S. corporations to improve competitive advantage through intelligent real estate strategies. As the initial developer of tenant-only representation, he helps corporate leaders to acquire and retain top talent, and optimize or change office footprint and improve the value of each lease. As the founder and Chairman of Travers Realty he leads one of the most powerful negotiating teams in California. 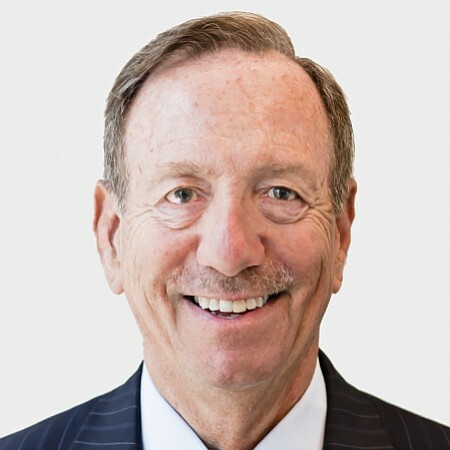 With his leadership Travers Realty has maintained a strict dedication to tenant representation, and successfully negotiated over $11 billion in real estate transactions since its inception in 1978. He is frequently called upon by clients, fellow brokers and industry experts for his opinions on complex litigation, lease negotiations, and to provide clarity on intricate industry matters. Mr. Travers has been a keynote speaker on a multitude of real estate panels, and has been awarded and honored on many real estate occasions, including Outstanding Broker of the Year. Want to read the episode instead? 00:49 CR: I'm excited about today's podcast, I have Jim Travers, one of the real legends in the real estate business. Anybody who's done deals on the West Coast, especially from the landlord side dealing with a tenant broker, has dealt with Jim. My only disappointment is I don't think he uses enough swear words to reflect how he really does negotiate on this podcast. But nonetheless, it's a really interesting talk about brokerage coming from New York to Los Angeles about how LA has changed and a lot about how the tenant rep side of the business continues to evolve. So I think you'll enjoy it. And Jim Travers who's the founding principal of Travers Cresa. 01:32 CR: Welcome to The Real Market. I'm really pleased to have Jim Travers here with me today. Jim is the founding principal of Travers Cresa. Jim has been in the business for many years and we've known each other, I've known him when I was a lawyer, and as a broker, and now as a principal, and he's been a good friend over the years. Jim, welcome to the podcast. 01:50 Jim Travers: Thank you, Chris. I love to be here. 01:51 CR: Well, I think it's great to have you on the podcast because I think you really are encyclopedic about deals that have happened in Los Angeles. You're a New Yorker who came here. I'm very interested to here all about it but the first question I have for you is, here we sit in 2018, you've been doing deals here in Los Angeles since the early 70s. 02:13 JT: All the way. 02:14 CR: And since a lot of my podcast has to do with technology and all, did you ever think in all those years, you'd come on and do a podcast on real estate? 02:24 JT: Never thought about it. 02:26 JT: First of all I started the business in 1969. That's the year I was born, I'd say. 1969 in New York City. 02:34 JT: With the Peter Sharp Company that owned the very prominent real estate firm called Douglas Elliman. 02:42 CR: And Peter Sharp was a major owner of great properties, a Carlyle Hotel, and he had a development firm and they hired me out of college to do leasing in their portfolio and the first position that I had was a leasing agent at 14 East 60th street. It was a hotel, a flophouse hotel, with the famous Coca-Cabana in the downstairs. 03:16 CR: Did you kill the Coco-Cabana? 03:17 JT: Well, I didn't kill it, but I made the largest abortion clinic deal in New York City in 1970. 03:24 JT: Up to some 25,000 square feet and I made it into a very success of medical building and that's when I first started. 03:32 CR: So you went to the University of Cincinnati, you're a Bearcat. 03:35 JT: Yeah, all the way. 03:36 CR: They're 6-0 this year, they broke into the top 25. 03:39 JT: I haven't followed football that much, but yes I went there 1965-69, during the Vietnam War. 03:45 CR: And how did you... How did you go from University of Cincinnati into real estate in New York? 03:51 JT: It was very simple. That was during the war, I had a major football accident, unfortunately that was life-threatening, but the end of the day, it was a punctured lung and when I got drafted by the Army, I was able to get a 4F. So yeah I majored in political science and I went and got a 4F. I graduated in 69, I realized I wasn't going to the Foreign Service and all those good things. So, in those days, the New York Times had a major classified section and then I get my father and I on a Sunday went through the times and we found a little small ad to become a runner for a commercial brokerage company called GW Michaels, who just assembled the Citicorp building at 53rd Lexington Avenue. And so they left Studley, formed their own company and got my training from those guys. And then from there, jumped over to the Peter Sharp Company. 04:51 CR: Unbelievable. Did you have any... Back in college, did you take finance classes or was that all new? 04:58 JT: No but what I did get involved... Cincinnati has, like every city, major areas that are primetime and areas that are not primetime. And I was looking for a place to live and I found a spot that was developed, 5-6 townhouses by a major developer in town right across the street from an elementary school and it wasn't leasing very well. So I met the owner, and very nice lady, and I said, "I'll lease this place in 30 days. I'll bring all my fraternity brothers over here and we'll lease it up. What's the deal?" So she gave me a deal that worked out and with 30 days I had the whole entire place leased out. It was great, it was beautiful townhouses, walk-up. But it was great, no elevators, but all the guys loved it. All furnished, high ceilings, working fireplaces and it worked. So that's how I got involved in, as far as getting involved in the whole world of trying to do deals. 06:00 CR: And what drew you to... I mean of all the things you could have been doing as a senior at Cincinnati, what was it about leasing space that was interesting to you? 06:10 JT: Well, the point is in college, I thought about this, I never wanted to be on a salary. I just didn't wanna be 40 years old, 50-years-old walk into an office and be told that you're no longer needed in our operation. So I figured that out at a young age. So that's why the commission business became the business that I really... Betting on myself. I get fired every day, I lose every day, but I'm not being fired from a situation where I'm relying upon another person to pay my bills, pay the salaries so and so forth. So I just didn't wanna be in that environment and I never have. I've always been, since I started, on the commission business. 06:56 CR: That's amazing. It definitely takes a certain personality and it's not for everybody. 07:00 JT: It takes a certain personality. At a young age I've always been very much a leader, a president, between high school, I was very involved in Cincinnati as an ombudsman, so I've always had a leadership type personality and I'm always betting on myself. So I figured when I got to college and out of college, I really wanted to be on my own, so I felt this was a great way. Always looking at the General Motors building when I was like 21 years old, and asked myself if I can lease one floor in that building it would be bingo. It would be bingo. So that's been my whole entire drive. 07:34 CR: So talk a little bit about what doing real estate deals, in New York in the early '70s was like. 07:39 JT: Well the reality is in 1970-71, Avon just made the largest office lease in the history of mankind. They took 1.5 million square feet at the Solow Building 9 West 57th Street at 13.50 a square foot flat for 25 years. 08:00 CR: Flat, no bumps? 08:01 JT: Those days... Everything's changed, Chris. In those days, having a long-term lease with a quality tenant was the key to the real estate business. 08:13 JT: And that was... And then right after that deal got made, Fortune magazine came out with a picture of New York City with a bottle of red ink, saying there's gonna be a major depression, and it occurred. And that really changed my life as far as seeing how things could be so strong and virtually within days, things fall apart. 08:36 CR: So this was during the days of the bankruptcy with the turmoil and everything going on in New York? 08:43 JT: At that time, Chris, New York City was absolutely in a... Almost like Chicago is today, killings every day, everyone hated the city. It was very tough, and that's where the suburbia came into play. Connecticut and New Jersey became a major factor where Union Carbide, all the major firms were moving out of New York City to go into the beautiful 15, 20 acre suburban, New Brunswick. Beautiful buildings and landscaping and trees and lakes. So that was a major factor in a lot of the firms getting out of the city. Exxon moved to Houston. Texaco moved out. I was right there when Texaco and Exxon, who built their buildings at 1251 Avenue of the Americas, we made a lot of deals, and they moved to Houston. 09:40 JT: Basically, it was very interesting times. I didn't know how I've being... First of all, in New York City, being hired as a broker, you had to do a lot to prove your self-worth. Which means if you wanted to be hired, which I was hired, they say, "Kid, come back here with the Empire State Building, the World Trade Center, the Chrysler building. Come back with your index cards and tell me every single tenant on the floor and if you can do that and they're accurate, we'll consider hiring you." 10:14 JT: So New York City is where I learned how to become a foot canvasser. Because that's the only way you get hired and that's the only way you got business done. So that's where I got my background in knocking on doors which I still do today. 10:28 CR: So I think the younger people in our audience probably have no idea of a world without CoStar and with all this information that is publicly available. But tell me a little bit about what your office looked like back then, with all this information from... You would go out and you'd canvas and you... How would you handle all the info? 10:57 CR: Wait a sec. April 1st, 1978? Was that the same date that Cushman started Cushman Realty? 11:04 CR: Wow what a small world. 11:04 JT: That's when Big John started that and so I started the company and I bought my IBM Selectric typewriter that had a button that would erase the letter that was wrong and we had carbon copies. 11:21 JT: And... But the whole world, it didn't matter even CoStar to me today, is a nice situation but I don't rely upon it. Being out there on the streets, seeing what's going on is the way I keep myself going. 11:33 CR: So how did you go from New York 72-73, to Los Angeles [11:37] __ West Coast? 11:37 JT: It was, my wife's family suddenly moved from New York to LA, just got married, a major New Yorker living as a bachelor in a major 50 storey apartment house on Second Avenue. And life was kinda interesting, got married, moved to Forest Hills, and I went to boarding school at 15 and of course my wife, I married out of her house. Opposites always attract. And when her father came over unexpectedly, we had a major decision to make to move with her family or not to move. And I decided to come out here. I saw it. I bet on myself again at 25 years old, and I did it, and I'm very happy I did. Although New York City is still the capital of the world, LA has proven to be a very nice world for me these past 40 some odd years. 12:35 CR: And what did you do, did you go... Were you still in brokerage when you moved out here or? 12:39 JT: All the way. So I'm in New York trying to make a deal with Club Med, Nine West, 57th Street, I'm gonna say 40 West, 57th Street. I'm trying to do deals, I took the test out here. The New York City take on a broker test, it's like a driver's license test, you go in 28 pages and you pass. So I go down to the convention center and all of a sudden I see this book about houses, I didn't know anything about houses, of course I failed the goddamn test. 13:08 JT: So I'm a New York broker, I failed the test, earthquakes are about... I'm in an apartment house, they just went foreclosed. So my first six months were really very, very eventful because everything was going sideways. I had to study at the UCLA library at night to pass the goddamn test. So I finally passed that and I've been doing it ever since. 13:35 CR: And when you moved to Los Angeles, you got licensed, what was the first deal that put you on the map? 13:41 JT: The first deal on the map was Algemene Bank, from the Netherlands. And moved into which is now the State National Bank building, which Alex Hodnipile, was his name, and we did a about a 15,000-16,000 square foot deal. And then from there, being a New Yorker, I would fly back to New York and meet all the banks. And at that time San Francisco was the financial capital of California, but the banks realized that LA was a much bigger market. So that's when my second biggest deal was Banco Do Brasil for about 20,000 square feet, the corner of Flower and Wilshire, ground floor space, the old Mobile Oil building. That was my second largest deal. And then the third deal was DKB, the largest Japanese bank. I moved them to the 707 which is a brand new building, First Interstate Bank building, 57th floor and also 1,350 square foot flat for 10 years. So the Japanese, at that time, were coming to LA and I was way capitalizing on that, going back every four weeks in New York, meeting everyone and just hustling. 15:00 JT: It was very easy at that time, today it's changed. Where you gotta change the way these landlords are locking buildings down, it's an issue. But in those days, just every morning I had about $3 or $4 of quarters in my pocket, and I knew every telephone booth from here up to Moorpark and knock on doors from about 8:30 until 12:30, have lunch, go back to the office or do something till about 3:00, and then go back at 3:30 until 7:30, and the same buildings I'd canvas in the morning, was in those days, you walk in, I see the Rising company, "Is Chris Rising here?" "No he's not", "When can I see him?" " I have no idea." But then I would ask, "Can I use the restroom before I leave," "Sure." I find out where your office is. So then I'll come back around 5:00-5:30, the reception is gone, the odds are your secretary's gone. So therefor, I walk right in, "Chris, Jim Travers, How are you? I want to discuss your office space.” And that's how I've been doing it my whole life. 16:03 CR: Wow. So how do you deal with how things have changed where... How do you get in? 16:29 CR: Were just trying to become like New Yorkers. 16:30 JT: Basically. The issue is, LA was a usable town back in the 70s. Never even heard of rentable. And then it went from a factor of 8%, 9%, 10% to 16 to 18%. And now was getting between 25 and 30%. Compounded it by the annual increases. Is becoming an issue. 17:02 JT: Over 2017 I was with Gensler's office when they gave the announcement. That's a big issue. So, now you can charge for it, just say the WiFi space outside, you can charge for the parking elevator going from the parking up to... So it's a major factor. And it's really starting to have a huge, great impact for landlords, but for tenants it's becoming a big issue. 17:25 CR: Well, I also I think the tenant market has changed significantly here in Los Angeles. We don't have... We don't have that many, 100,000 plus tenants like we used to. We have some, and they're mostly Westside content kind of firms, but the leverage that a tenant has in the lease document has really changed because the square footages aren't as big, so there's not much they can push back on, once you get to that lease stage. 17:48 JT: Yeah, basically LA is very well leased, things are happening. But days when I was involved, and making the big deals here, the leverage capacity is definitely changing. No question about it. 18:18 JT: Yeah. What's happening right now my whole focus has always been that I can, and it's proven to be really out negotiate the majority, if not all my competitors given the opportunity. But what's happened Chris, the economics implication is not as strong as it's been when I started. Now as I mentioned before, technology and all the various consulting aspects of a transaction from labor, statistics and the way they operate space. So it's becoming a much different world today, then walking in and saying, Chris, I can out negotiate XYZ. Now, you wanna know a lot more about the intricacies of do you belong in downtown? What are my options outside downtown? How I impact the employment factor, the millennials, where are they living, what are they doing, what do they want? It's a changing world. It's a changing world. 19:14 CR: Is it a world do you think as an independent broker, even within your own firm, very siloed, is that the world that's gonna continue? Or are you saying, to compete you have to use resources, so you're sharing information and you're doing things in a way like you didn't before? 19:29 JT: The reason why I joined Cresa, which is the largest tenant brokerage firm in the world is we're the resources. So we have a major consulting group that's been very, very helpful and a lot more resources of what's going on, and it's been very helpful. But there's no question, the days of just saving dollars is over. They want a lot more. In fact, one law firm that I didn't make downtown, called me old-school when I discussed the economic impact that I can create for the firm. It just went through one ear, out the other. And that was a definite wake-up call to realize that money and driving economics is not the overall leading factor today. That's the big change that I've seen to a tenant broker all my life. 20:14 CR: Mm-hmm. And how about just when you look at the business as a whole and how you interact with, whether it's landlords or landlord brokers, has there been a change in how that's happened? I mean, my father always tells the story, if I have three people out in my waiting room, one's a banker, one's a lawyer, and one's a broker, I see the broker first, all the time. Is that still the case? 20:35 JT: Yeah, basically especially with the world I live in, having major tenants and consistently so... Yeah, the landlords are very open. I'm very involved. Your father and I go back way, many years ago, one of the best developers that I've ever come across. He was a great guy. But reality is, yes, the landlord community and the brokerage community is very open; very, very receptive and they're really trying to make deals. No question about it. 21:01 CR: Do you think brokerage as an industry is gonna continue to be a commission-based business, do you think that'll always be that way? 21:07 JT: Well, obviously in England, it's all based upon 10% of the first year's rent, and that's how it is throughout Asia as well. We'll soon see. We'll soon see. And obviously the consulting group and all the various groups that go into making a deal today, is a lot of consulting side of the equation. I think most companies like the idea of a commission business, as far as tenants. So, no dollars. That was really my whole entre vous into the business. If you're going to be Mr. Tenant, if you're gonna be moving, and you're gonna be negotiating your lease, I'm gonna be, whether I'm there or not there, that commission is being paid to either the broker, the asset manager or the partner. So there's dollars being spent on commissions irrespective, whether Travers is with you or not. That was really the key to my opening up where I've grown so much because it was true, and it really worked. 22:03 CR: How have you, from your perspective, representing tenants, going back to the middle and late '70s, how have you seen the wave of Los Angeles change? What are some of the big changes that you've seen? 22:17 JT: Well, it's been interesting. The suburban areas back, during the Rodney King issue, and let's face it, Mid-Wilshire absolutely stopped. Dr. Lee came in and just bought up the entire place and now it's a very, very, very vital community for the Korean community. So you gotta give Dr. Lee, tremendous accolades of taking what was virtually a no man's land after the Rodney King situation. In fact I was in Mid-Wilshire, I moved out with the riots virtually the next day to downtown. So that's been a big change for being in the industry, the insurance industry forever. They all went out and Dr. Lee came in. Downtown LA as you know really hasn't changed that much. The best building in town in Downtown LA in '1970 was the Crocker National Bank building at 611, West 6th Street. It's now empty, hasn't been occupied for almost 15 years, but that was the big building where all the big tenants were there. And so, Downtown with Maguire, and your father, built up a new downtown and there's been that much, added at Downtown over this past 30 years. They have a new hotel obviously, but nothing of major consequence. 23:34 JT: It's kind of interesting. 23:38 JT: Santa Monica today basically is, it's the strongest market in Los Angeles. The rents there are $6 a square foot up to $9 a square foot. So I just did a very big fair market value negotiations with the Macerich shopping center and Douglas Emmett under fair market value, and it's just amazing. 401 Wilshire, I would not call one of the best buildings ever built, it was built by First Federal, but Emmett owns 75% of downtown Santa Monica, and it was very tough negotiations. 24:11 JT: So, Emmett's done a phenomenal job, they have 18 million square feet, so that's a big phenomena. I met [24:17] __ in Jordan, about 25 years ago, they were in a 5,000 square feet on San Vicente. I leased their space out to an entertainment company, and now this guy... So I'm seeing there's been a definite control of real estate in Los Angeles. Westside is maybe four players: Irvine company, Douglas Emmett, JP Morgan, control the Westside. No question about it. 24:47 JT: No, basically, Century City was all owned by individuals, [24:51] __ on 1801, Northrop owned their building. So this is a whole change, it's a big change now. JMB from Chicago own Century City. The Towers is the hotel back in the '70s and '80s, and they sold a lot of properties, now JP Morgan and Hines own the Towers, and the rents are going through the roof. 25:15 JT: The rent's going through the roof. 25:22 JT: El Segundo I'm very involved in. It's a big play because Playa Vista has become, obviously, Playa Vista was a disaster after the 2009 crash, it was nothing, I was... Your father was very involved in getting all the zoning there, so was very involved in Playa Vista. Became very strong when Jeff Worthe bought the post office and made all those deals there, now it's a very hot market. And so El Segundo was trying to capitalize on having the warehouse type buildings being converted. I wrote an article recently that the rents in a bow-truss building are higher than rents in Downtown Los Angeles, and the finest office buildings that man can build. 26:06 JT: It just absolutely has gone totally upside-down. The deal that I did with the Warner Music Group will be in the Arts District. It was Henry Ford's first building he built outside Detroit in 1914, he built the building. He had a great year for 35 years, and you know the Arts District better than I do, it died. In fact, when we went to go to look at space in the Arts District, being downtown, for all these, I had to put it in my GPS system. I didn't know where the Arts District was. And now we moved Warner Music in, [26:41] __ moving in very, very soon. It's a major phenomenal that's taking place, and the amount of money being spent there is astronomical. And it's all young kids. 26:52 CR: Yeah. Well, let me ask you this, when you look back in your career doing deals in Southern California, can you tell us about a deal that was just the quintessential best deal you did and the characters involved and all that kind of stuff? 27:07 JT: Well, two deals, one about canvassing. Goes back to Century City, 1801 Avenue Of The Stars, 20th Century insurance company was in that building, and they were growing like crazy. And so again, I went in to see Mr. Foster at 6:30 at night, unannounced. I walked into his office, and he asked me, do I have an appointment? I said no. He said, "Well, I only see people with appointments." So I said, "Fine, but can I talk to you?" He said, "No, I would appreciate if you leave now." So being a salesman you always gotta be polite. So, I said, "Fine." So the next day I went to 20th Century insurance company and they bought car insurance. 27:54 JT: And then I waited three weeks, and wrote him a letter, who I am and what I do and what my thought process is, [28:00] __ and so forth. And sure enough, I got a phone call to please meet with Mr. Foster. I'm not much getting embarrassed and... But I'm in the reception room, I'm saying to myself, "Now what happens when he sees me? What do I do, and how do I respond?" Because he asked me to leave in a very strong way, and sure enough I walk in, "Mr. Foster, how are you? Jim Travers." I was with them for 28 years, over a million and a half square feet. 28:31 JT: The next situation, Angelo Mozilo, Countrywide. 3440 Wilshire Boulevard. 6:30 at night. I'm s the building, it's a 13-storey building. There are four buildings, and I come down to the second floor and I see this very well-dressed man and he's watching the carpet being laid on his new premises. So I walk up to him. "Hi, Jim Travers, how are you?" I said, "Jim Travers," and he mentioned who he is, and, "What do you do?" And that was the start of a relationship, Chris, that was 38 years, over 11 million square feet plus and minus, I did with Angelo up until the time Lehman Brothers called it quits. 29:17 JT: All from canvassing. 29:26 JT: Chris... You see this suit here? This is armor. This is all made out of metal. The competition in my business is ferocious. The things that are said about me behind my back is phenomenal. But that's just the way it is. I believe what I'm doing, and that's it. 29:46 CR: Well, some of the things were things that were appropriate in the sense of the way you negotiated for your clients. You were tough, and are tough still today, but I still... I think the legends out there of the verbal abuse that you would give a landlord, broker. And then there is also the fact that you could... You also knew how to make a deal. 30:10 JT: Right. The idea was to be as tough as possible. Again, being a tenant broker, it's a different ball game. I'm only interested in my clients really supporting me, and they really want what they want. We're not really interested in comps, we're not really interested in what everyone else is doing. They want what they want. And so that's what I've been thriving on now all these years, and because I can be as strong as possible 'cause I had the backing of my clients. So I'm not really interested in what the landlord thinks obviously, because I don't wanna be their broker. I have nothing to do with them on anything going forward, except being, representing tenants, and it works. 31:00 JT: No, matter of fact, I've never had, maybe one or two, but nothing of any major consequence because I keep every one of my clients very well-informed. If I'm meeting Chris Rising at 3 o'clock to discuss a deal, everyone knows why I'm coming to see you. So I really try to keep that information flowing at all times. So there's really a lack of those holes that come up all the time. It doesn't occur. 31:24 CR: Do you think brokerage is a good business for people coming out of college today? Is it the same kind of experience that you had? 31:30 JT: I was a mess all the time, but you have lot of young guys there. I think it's a phenomenal business. And if you follow my footsteps as far as it's your own boss, every deal you lose it's your deal. Yes, it might have been circumstances, but you lose it, you made it, you lose it. But it's great freedom. Come and go as you please. Do what you got and go out and hustle. Yeah, so it's a great way to make a living. No question about it. 32:00 JT: For me personally, it is. It's no question. So, LinkedIn, and I'm making phone calls and writing letters and with all the accolades that I have accomplished over the years, it's really irrelevant. You just either gotta do it, and do it and do it. But just think because I'm this, or got that accolade or I'm in the business journal for being this and that, it's all very nice, Chris, but it doesn't put any deals on the table. 32:28 JT: And that's the psychological impact of getting older, being in the brokerage business, because of all the success. Thank God I've had. It's irrelevant, and I know that every single day. 32:42 CR: When I'm asked about the difference, I was a tenant rep broker for a while. Difference between being a tenant rep broker, and being on the landlord side, whether it's in-house leasing or what I do today. I often say, "I think you're in a totally different business than I am." Because you have to get the client and that is what your value is as a broker is getting that relationship. 33:27 JT: The reality is, in our company, we try to have three areas. One, a definite market. So where are you in that market, have five to six buildings that everyone knows Chris Rising? So therefore, you walk in, you get in, and you can know what's happening there. Two is to belong to an association, whether your church, whatever the case may be, it's a big factor. And then three, having the industry, whether entertainment, legal... So you have a downtown market, you have the legal industry, and you belong to some various groups. And my strength has not been joining other groups, it's really been working in market and working in buildings. And so now I need to open up, as you suggested, and get more involved with other organizations where I can rub shoulders with the CEOs and people that are involved in the business. And that's new for me. That's a definite new program. 34:36 JT: No, what I'm saying to you, is that, in our world, we like athletes. We like the athletes that have training and understand discipline, understand setbacks, understand the word "no", understand the world and how to hurdle over things that at first you can't even imagine hurdling over. So we look for the athlete as the ideal real estate broker; where the old days, it was the IBM or Xerox salesman. So that's where they have the experience, the training, and work the buildings. But now we like the athletes. They have the stamina. 35:30 JT: No, basically, we were hiring a lot of young kids at first, out of college, and we realized that was really not the way to go. Because they, as the age of millenniums that we're all experiencing, in our group that we've had for 40 years, we really look at everyone coming to our office for a 15-year relationship. Now, things happen in 15 years, but we're looking for a long-term relationship, and that's where the core of our company have done very, very well. And the young guys coming in really didn't know the business, took a lot of time to really train them and then get a phone call from someone else for X dollars more or commission more, and they're gone. So we have really cut back, we're going back to the old days of at least two or three years in the business, knows about lease rates, knows what's going on, so they can get out there and work with us, but not going through a whole training program. 36:26 CR: Do you have a sense that the tenant community out there still sees value in a tenant-only broker, because a lot of your competitors... I hear this all the time, "Oh, we got Chinese walls, but we share information." It's a very convoluted message I see being given to clients. 36:45 JT: I've been fighting this situation for 40 years, and I'm probably the only one still around today as a true tenant broker, obviously, and it's tough because what the CB's, the Jones Lang's, they're fabulous companies, done a phenomenal job building up a huge brand, and they control the world. And fighting through that has been very, very difficult. And so if you ask a lawyer today, "I'm representing Chris Rising and we wanna do a 100,000 foot lease. And Mr. Lawyer, I want you to represent Chris in this deal," the first thing he asks for, "I need to take a conflict check." And I just don't understand this, how every lawyer, law firm which have been a big client of ours, are just so ensconced in having these major firms represent them when the conflict of interest is so inherent. 38:00 JT: Well, how do you feel if a CB was your leasing agent, and the CB broker was bringing in a tenant to lease 100,000 feet? What do you do? 38:09 CR: Yeah. As an owner I actually think that's probably a benefit to us to have a... 'Cause they can use their relationship. For the client, I don't know how that's a good thing for the client, because I think there is definitely a Chinese wall that's hard to overcome. Let me restate that, they say there's a Chinese wall, but it's very dubious whether that's there because at the end of the day the brokers get paid commissions to get the deal done. 38:34 JT: Well, I studied Chinese, the Mao revolution in college, and the Chinese wall, which I've been to that you can see from outer space, the Mongolians were the most fierce fighters on Planet Earth, that's why they built the Great Wall. And what the Mongolians did, they paid off the guards to get over the wall. And I had that in my presentations because the Chinese wall, from my eyes, doesn't exist. It doesn't exist. You can tell me until you're blue the face, it doesn't exist. 39:07 CR: Yeah. And so when you make that pitch to a potential client and they say, "Well, we think it... " How does that come full circle for you to be able to say, "I told you so, or not to... "
39:20 JT: You know, in this day and age you can't tell somebody, "You told me so." If you look at my record of deals that I've done in the same complex with the same time, same station, the economics are just so compelling different, but again, back to you a few minutes ago, it just seems to go on deaf ears. If I came in now and showed you, Chris, and you sign a lease at this building here, and the deal I did was 25% less than what you did, it just doesn't seem to catch on today. Very interesting. 39:55 CR: So one of the things I have to ask you, you've only used a cuss word twice on this one, so I'm a little disappointed. I thought we were gonna be able to really hear the real Jim Travers, but describe for me, or if you think there's a difference between doing lease deals in New York and doing lease deals on the West Coast? 40:13 JT: No question. New York City is the capital of the world, and the finest brokers and the toughest landlords, and it's a whole different ball game, it's a whole different ball game. 40:22 CR: We're a little too nice out here? 40:23 JT: Not nice, but basically get get what you want, but in New York City you have these landlords that control... Right now it's just a different situation. Talking about New York City, if there's a loss factor... First of all, no one discusses loss factors in New York. "Here's the rent. Do you wanna pay the rent? And if you do, fine. If not, what can I tell you?" So it's a whole different set of circumstances, but it's a very strong demand. Now, however, Hudson Yards is being built, as well as downtown, the World Trade Centers, and it's having a huge dent in Midtown. Park Avenue was the ultimate, ultimate address on Planet Earth, and now they're shifting. 41:06 CR: And I think also the buildings are older, they're not as efficient, they don't meet the needs of these clients today. 41:13 JT: That's Bloomberg. Before he left he told New Yorkers, the developers, you guys have pre-and post-World War II buildings you're not keeping up, so it was really related, that capitalized on perhaps one of the finest real estate deals ever, in developing Hudson Yards. And it's a beautiful complex, it's most unusual, it's only one subway line that gets to it, but yet it's virtually very, very well leased up with the finest tenants. Warner Brothers, which now obviously AT&T took and they bought their two-and-a-half million square foot complex. It's just fantastic. It's fantastic. 41:51 CR: Well, before we wrap up, I gotta ask you a couple questions. So downtown LA is having a resurgence; I think the occupancy rate is misidentified a lot because there's just some of that vacancy that downtown LA is just never get leased. But when you look at downtown today, what's the most significant deal you've seen happen in downtown LA over the last five years? 10 years? 42:16 JT: Well, right now, obviously as far as in the downtown core, the City National Bank expanding, both in City National and going into 2CAL Plaza. That was probably one of the biggest deals done in downtown LA in many a moon. That's definitely changed 2CAL Plaza from being virtually, having over 900,000 square leased, so it's changed the complexion. So I would say just talking to you one-to-one, that seems to be the biggest situation that I can see as an impact. 42:44 CR: And it's a Beverly Hills-based firm that is now really identified with downtown LA? 42:48 JT: Yeah, and they got bought by the big Canadian firm RBS, and that was a big move. No question about it. 42:55 CR: What about the Gensler move from Santa Monica to downtown that happened a few years ago? 42:58 JT: That was me. 43:03 JT: No, basically it was Gensler not interested in anyone's background except one thing, "How many deals have you brought to the firm?" And I do a lot of work with Andy Cohen. And so, I was nominated and hired and then... Andy and I were at the Deli Grill at the Colorado Center having lunch, and he's telling me his whole objectives are making the move. He wanted to be in a free-standing building, he wanted very high volume ceilings, he wanted to have a blank canvas. He wanted to have branding and he wanted to be able to reduce his rent. So I'm listening to Andy very quietly, as I always do. And then when he's finished I said, "Andy, there's only one place to move to." "What's that, Jim?" "That's the former Bank America private banking building in downtown Los Angeles." And he chokes over his salad. "Jim, there's no way, it's absolutely, I'm 45 years on the West Side, we all live in Palisades, Redondo Beach, Manhattan Beach, we're all here, not happening, good idea, not... " I said, "Andy, just think about it for a second, calm down, let's just go and see it." So we got Rob and the whole caravan downtown, we walked in and they said, "Stop". And that's when we made the deal with Thomas. And it's proven to be a smashing success. 44:35 CR: Yeah, I had Andy on one of the original podcasts, and he was just saying how much being in downtown LA has changed their ability to be near clients, to get around the city. I mean, the biggest difference I see in Los Angeles today, is... Millennials just don't understand this is, my father could live in La Cañada and drive to Playa Vista every day and get that entitled and go back and forth. I mean, you could live in Pasadena and get to Santa Monica. You can't do that today. You just... One, it's just not physically possible to have a quality of life and do it. And so, what Andy said on our podcast was it opened up a whole new batch of employees that they couldn't access before and I had John Simones of Jerde on the podcast and their move was a big move. And I'm hearing this more and more that, especially when you have employees who are not first-year lawyers making huge salaries, downtown LA is an affordable option to draw from around the south. 45:32 JT: It's happening. Colony Capital is down here, Gensler has done a smashing job. We took that bridge. You saw the bridge cross? 45:39 JT: We did that deal. So and you said that one of the main factors coming downtown for Gensler is that they have a lot of events downtown, and they had to leave at 3 o'clock in the afternoon to get into a 5:00 or a 5:30 event, and so it's really worked out very nicely. So downtown has great potential to keep... I mean, there are what, 8,000 units coming on right now. So, this is a tremendous opportunity for someone to build an office building. The hotel that got built did very nicely, they leased out a good portion of that space there. And then a lot of the firms are living in antiquated spaces today, the world is changing, the one-size, long office is now really catching on. 46:20 CR: Yeah. Yeah, I agree with that. So as you kinda look over the... Your crystal ball over the next 10 years and how do you see the brokerage business evolving and how do you see technology's role with it? 46:34 JT: Technology's gonna be huge. What little I know, but I'm not really involved with the CBs on the world and Jones Langs, but I think their world is changing, where it's corporate services. They're publicly traded and they want corporate services, it's income coming in, it's big companies. The brokerage then becomes an arm of corporate services. So I see that as probably the future where the commercial brokerage industry is really going, able to provide corporate services locally, nationally and throughout the world. 47:05 CR: Well, let me ask you this, 'cause we ask everybody who's on the podcast. How has your life changed in terms of your use of technology? 47:15 JT: I don't have a computer. 47:16 CR: Just a phone? 47:16 JT: I have a phone and an iPad. 47:18 CR: Yeah, I do the same thing. 47:19 JT: That's it, I don't have a computer, I just... I'm not machine friendly, and I don't see myself typing. 47:26 CR: You don't need to be with the way software is today. 47:28 JT: Yeah, you're right. I'm not into typing, and I'm just not into... I'm making deals. I wanna be on the phone or going to see landlords, coming to see you. So I'm still very hands-on. I'm not much for texting proposals. I wanna see your eyes and talk to you, Chris, as I always have. I always come over and sit down with you rather than call you on the phone. So my world is changing, because getting into the buildings I always walked into is different. Even today, Chris, when I do get in, and I do get in, the reaction is very negative now. "How did you get here? Why are you here?" and, "Please, leave." And that's the big change that it's experiencing in my life, being a foot canvasser since 1969. 48:17 JT: I'm still trying. 48:18 CR: And I'd say that Gensler deal I think the history books will say was a turning point for a new downtown Los Angeles and you were the one who brought the idea. 48:26 JT: They had a big impact downtown, no question. 48:31 JT: Thank you for being here. Great seeing you. Thank you very much for inviting me and I'm gonna always be happy to come back. 48:35 CR: You know you're always welcome here. 48:36 JT: Thank you very much, Chris. 48:39 CR: Thanks, Jim, it was terrific to have you on the podcast. For those listening, I'd appreciate if you subscribe. You can go to my website, chrisrising.com or you can go to the Apple podcast or any of the other platforms and follow the Real Market with Chris Rising. And please follow me on Twitter @ChrisRising. Thanks so much.